If you lived in a reasonably sized city in the United States, and you gathered 100 Protestant pastors in one room, what would they be like? There would be significant differences. Some would see their ministerial work anchored in the gospel, others would be out of biblical orbit, and, sadly, some would be unregenerate. The same breakdown would be true for modern-day missionaries. Vast differences would exist among them—about what they do and why they do it. Sadly, some would be unregenerate. Confusion over modern missions is why churches must ensure their missionaries have rock-solid missiological underpinnings before they ever set foot on the field. I’ve been involved in missions work for three decades, and I’ve found three consistent and critical missionary confusions. Don’t we adjust the gospel to fit the context, removing offensive things that would prevent someone from a different background from coming to Jesus? Didn’t Paul say he became all things to all men so that some might be won to Christ? Those of us who come from a forensic cultural background don’t understand a shame/honor culture. Shouldn’t we emphasize principles of shame rather than sin and guilt? People will suffer and die if they convert. Shouldn’t we make the claims of Christ less demanding? The great temptation of missions today is that we try to become cultural anthropologists first and theologians second. When this happens, cultural understanding becomes preeminent over God’s Word. Couple that with missionaries who hold biblical authority lightly and you get all kinds of wrongheaded thinking—like people trying to either paste things into the gospel that aren’t there (e.g., shame is a bigger problem than sin) or cut things out that we don’t like (e.g., Jesus is not the Son, but a child, of God). The great temptation of missions today is that we try to become cultural anthropologists first and theologians second. Certainly there are many things we can adjust—food, living situations, clothing, language, to name a few. But the gospel is not one of them. Sure, we should draw out shame and honor when it’s clear in Scripture. But when we “cut and paste” the gospel itself—even giving different interpretations to clear biblical texts so we can fit the culture—we’re giving up the biblical narrative. We’re giving up the storyline God has carefully woven throughout. And to give up the biblical narrative is to overcontextualize. There are two primary reasons to avoid overcontextualizing God’s Word. First, you aren’t smart enough. God wrote the Bible the way he wanted it written for all people at all times and in all places. Historically, really smart people have tried to tweak the good news based on their current societal situations, and it has uniformly been a disaster for the church and the witness of the gospel. Second, it’s above your paygrade. It’s astounding there are Christians who think they have the authority to adjust the gospel for their situation based on their own understanding. Do we need to be loving and thoughtful about presenting the gospel message? Absolutely. Should we be sensitive to other people’s cultures? By all means. But what is needed more in modern missions are people who (a) understand the gospel, (b) present it boldly and clearly, (c) know Jesus promises persecution and even gives instructions on how to act when persecution happens. Bottom line, overcontextualizing the gospel is an indication that the missionary has been converted, rather than people to whom he or she has been sent. The church is a regular gathering of baptized believers who covenant with each other to be a church, and who then put into practice what the Bible teaches about the church. The church isn’t a random gathering of believers. It’s not getting together for coffee and fellowship. It’s not a team meeting. It’s certainly not a Christian concert. I can’t state this point strongly enough. Few missionaries have a healthy understanding of the church, yet almost all missionaries give lip service to church planting. How can this be? How can we be claiming that we’re planting a church when we can’t even define a church? As a result, many missionaries don’t even go to church. Overcontextualizing the gospel is an indication that the missionary has been converted, rather than people to whom he or she has been sent. But upon questioning it became clear it was just a team meeting—an exclusive gathering of missionaries. The Word was not preached; they merely shared in an inductive Bible study. There were no elders. No baptisms. And when adultery was committed among the missionaries, rather than try to restore the broken marriages with gospel love, they were sent home. That’s not a church. There’s no preaching of the Word, no baptisms, no Lord’s Supper, no loving church discipline. That’s a contract with a mission’s agency, not a covenant with a church. I understand the sentiment. We don’t want to “Westernize” people into our church culture. But all cultures are fallen and broken, so just as we don’t want to reproduce American church culture, neither do we want to reproduce local culture. What we long to see is biblical culture, founded on God’s principles for his church as spelled out in his Word. I recently argued why you shouldn’t go to the mission field unless you’re sent. This is perhaps the most fundamental characteristic about missionaries—they are sent ones. I long for churches, then, to take responsibility for sending with care. Pastors, elders, churches, I beg you: Please don’t rubber-stamp missionaries. Don’t send them merely because they’ve asked you to. Desiring to go isn’t enough. Love them enough to vet them with care. Also make sure a second characteristic is in place: the foundational principle of making disciples. 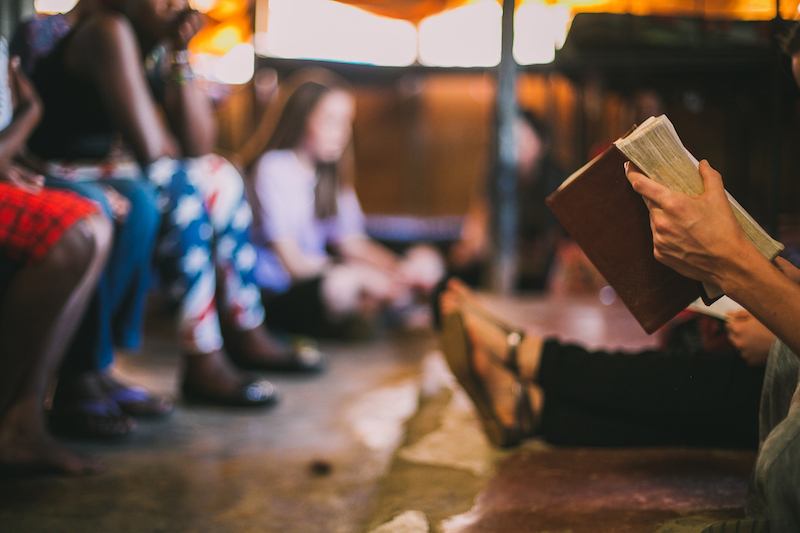 You aren’t a missionary if you’re not about making disciples. Jesus couldn’t have been clearer: “Go therefore and make disciples of all nations” (Matt. 28:18). No matter how many good things you’re doing, if you’re not about making disciples, you’re not a missionary. I don’t care if you sleep on a dirt floor nightly and take a cold bath daily. I don’t care if you speak the local lingo with startling fluency. I don’t care if you have dug a gazillion wells, established hospitals, inoculated chickens—if you’ve done all those things but have not made disciples, you are not a missionary. Are those good things? Absolutely. I’ve been a part of them all—I’ve even inoculated chickens. But you’re not a missionary because of your lifestyle choices, geographical location, or good deeds. You’re a missionary to proclaim the gospel with the aim of making disciples. So I implore you, help clear up the confusion. We need churches who understand these vital distinctions. Teach your members what a missionary is. Make sure those you send have these three principles down cold. Even solid biblical churches are supporting ministries on the field they’d never think of supporting in their own church. Use the keys of the kingdom God has entrusted the church to release only those who understand the gospel, the church, and the identity of missionaries. J. Mack Stiles and his wife, Leeann, reside in Louisville, Kentucky, and are members of Third Avenue Baptist Church. They are long-term residents of the Middle East. Mack has written several books, including Marks of the Messenger: Knowing, Living, and Speaking the Gospel and, most recently, Evangelism: How the Whole Church Speaks of Jesus.